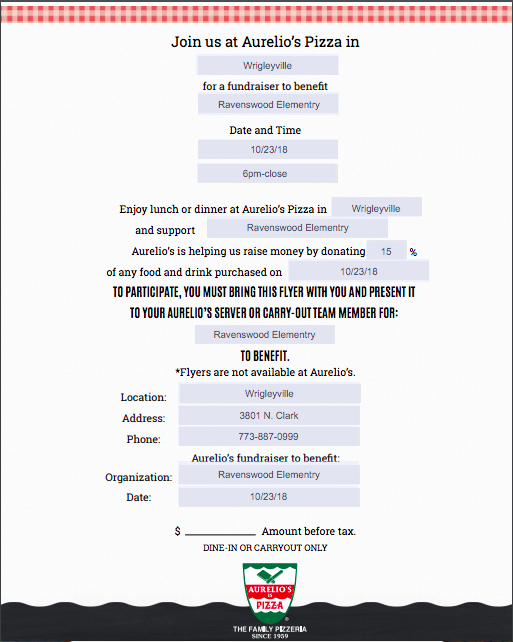 Today (10/23) - please join us at Aurelio’s Pizza! 15% of the proceeds will go to our school. Please print out and bring this flyer with you!